★Material/Size: Made of non-toxic plastic,high-quality,non-irritating odor.Similar to Size 4 soccer, diameter 7.1",max height 2.7". ★Safe:Foam edging, flexible, safe and not hurt foot,prevent the walls and furniture to be damaged,protecting kids from being injured during playing. 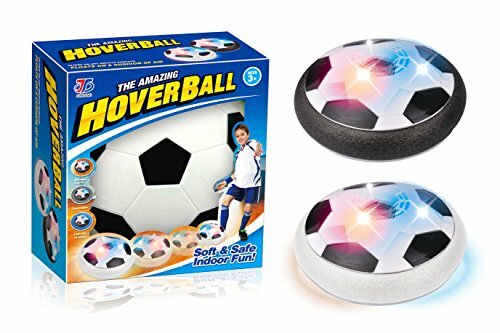 ★Amazing: The amazing hover ball can glide over any smooth surface, and a powerful fan floats soccer, so easy for it to sail over hard surfaces. ★Place: It suits to play in the house or outside,definitely fun for all ages, a good toy for parent-child game. ★More Fun: Combine soccer of hover disc with colorful LED lights, turn on the button,just kick it as a real soccer then it can glide over any smooth surface,can be played at night, make your night more wonderful! 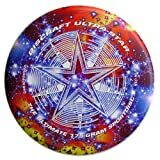 With the modest size of 7.1" which is similar to Size 4 soccer, a little bigger than other competitors. Neither too big nor too little. It is a nice toy for family playing together and multiplayer game. To cultivate child's interest, enhance child's curiosity, play it in big family to enhance the feelings between them. The Air Power Soccer Disk is an amazing new disk that turns nearly any smooth surface into a sports court, inside or out. Use it on a low-pile carpet, hardwood floor, sidewalk or a driveway! As long as you have a flat surface, there's no end to the ways you can play. 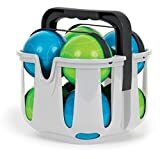 It has a powerful hover action that makes the Air Power Soccer Disk literally float on a cushion of air. The disk's outer protective bumper safely protects furniture and walls while allowing for great rebounding! 1.Install 4 "AA" batteries on the bottom of the disk. 2.Flip the power switch, put it on a smooth surface and give it a little kick! You can kick it like a real soccer ball. 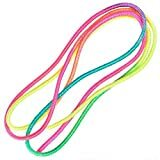 28" Chinese Jump Rope, Multicolored. One Dozen.